"We just moved into our third home with a Beam Vacuum System. The first phone call we made was to make sure Beam of Knoxville could get our vacuum installed in our new home. We can’t be without our Beam. Richard has taken care of us for over 25 years with the best product and the best service." Click video below to learn about our Alliance system! Click here to shop our entire Alliance line! Having all the right tools makes quick work of any clean-up job. Look for the Beam Shield to know you are buying the best! Hide-A-Hose solves the problem of carrying and storing a central vacuum hose. Simply pull out the amount of hose you need and begin vacuuming. 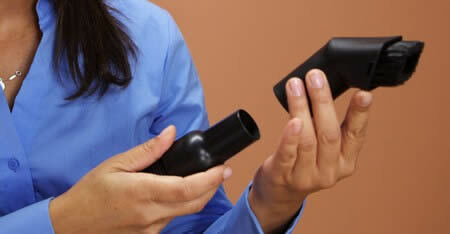 When you're finished, the suction from the central vacuum power unit retracts the hose. Beam of Knoxville started installing Beam Central Vacuums in 1985 throughout East Tennessee. Richard Goodman opened his business to fill a need in the home building industry that was not being supplied at that time. The central vacuum system is an amenity that most people want but don’t realize is actually very affordable. Richard knew that East Tennessee would be a perfect fit for his new company and that the world’s leading brand, Beam Central Vacuum Systems by Electrolux would be the right choice for any home no matter the size or the price range. 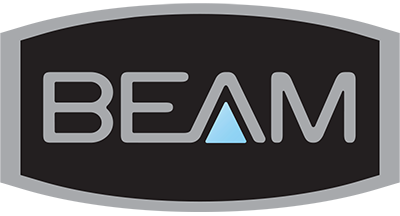 Beam of Knoxville is an independent dealer featuring the Beam Central Vacuum Systems and the Beam Air Purification Systems. Beam of Knoxville specializes in installing our systems in new or existing homes. About 85% of all existing homes can be retrofitted for a central vacuum system. All of our associates have many years of experience installing and servicing our systems. We are a Premier Dealer for Beam Central Vacuum Systems by Electrolux which means we are a full service store and showroom providing sales of new systems, installation, repairs and complete service to our customers. Our showroom is set up to demonstrate all of our products on all types of surfaces including carpet, tile and hardwood floors. Beam of Knoxville is one of the top five Beam Dealers; in the United States. We are recognized as a Beam Contractor Dealer doing business directly with the builders and offering special programs designed to help them promote vacuums in every home they build. Our builder program is designed for large projects like condominiums and villas, large floor plan custom homes, along with various sized single family homes. We have our systems in many commercial buildings all over East Tennessee and surrounding states that include restaurant chains, doctor and dental offices and dental labs. Veterinarian Clinics and Pet Surgery Centers are some of our latest clients. We were also included in the Extreme Home Makeover Knoxville edition which was an honor for Beam of Knoxville.